All motorists hate heavy traffic, but there is one roundabout where all drivers should appreciate the award-winning project that helps avoid congestion. 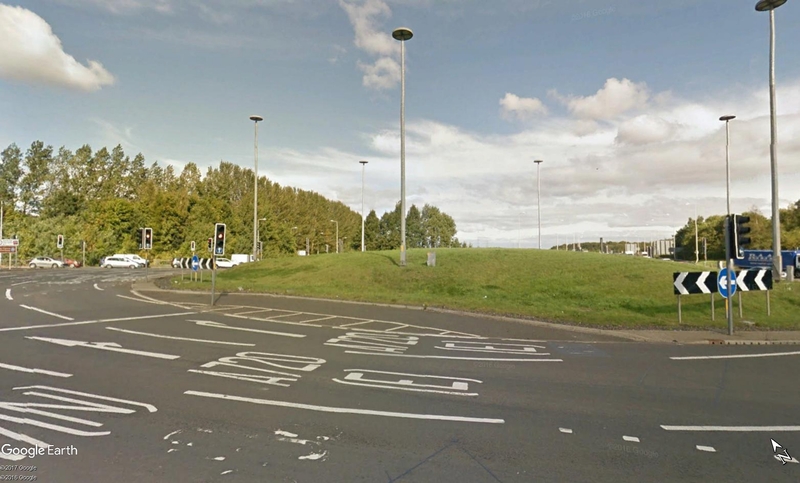 Sheriffhall roundabout is where the A7 and A720 Edinburgh bypass join on the southern outskirts of the scottish capital, and the roundabout is one of the busiest in Britain. With the A6106 also intersecting with it, 42,000 vehicles pass round it every day. Thus the importance of clearing the jams and improving traffic flow has made it a key priority for some smart design work. The result has been a pioneering development using coloured road studs, which can guide drivers into the correct lane at the junction. When the lights change, the studs in the appropriate lane light up to guide motorists to where they should go, Highways magazine reports. The studs are equipped with sensors that are triggered by the green signals at the traffic lights on the roundabout. When the traffic lights turn red, the studs switch off and those in another lane light up as their traffic light goes green. Clearview Intelligence, which has worked with BEAR Scotland and Amey, carried out the work for Transport Scotland and is now enjoying plenty of recognition for this application of new technology. The scheme has already picked up four awards and has now received two more at ITS (UK)’s President’s Dinner at the NEC in Birmingham, which took place alongside the Traffex 2017 event. This event saw the scheme gatting the Forward Thinking and UK Scheme of the Year Awards. Last year saw the scheme securing the Highways Magazine Excellence Awards Road Marking Project of the Year, the National Transport Awards prize for Most Innovative Transport Project, the Chartered Institution of Highways & Transportation’s John Smart Road Safety Award and the Scottish Transport Awards Excellence in Technology and Innovation Award. The awards were not simply based on organisations being impressed with the original thinking, as there is clear evidence that the new high-tech system works. Researchers from the Transport Research Institute at Edinburgh Napier University carried out studies of driver behaviour before and after the installation of the studs and found that once the new system was in place the proportion of drivers who transgressed into the wrong lanes fell significantly, even during daylight hours when the lights would be less visible.